Merry Christmas, well it will bee in a couple of weeks in New Zealand. Its summer in New Zealand and The Temperature is Rising. In this beekeeping podcast we discuss Spring, Summer, Winter bees and high honey prices. This is Episode Eighty two of our beekeeping podcast. 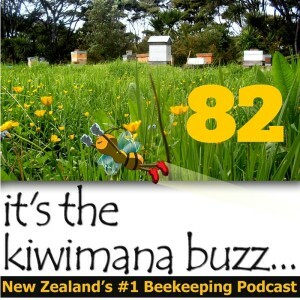 Or search for 'kiwimana' or 'beekeeping' in your podcast application. Well have a great Christmas guys and thank you to all our listeners and supporters. We hope you have a safe and happy holiday season.